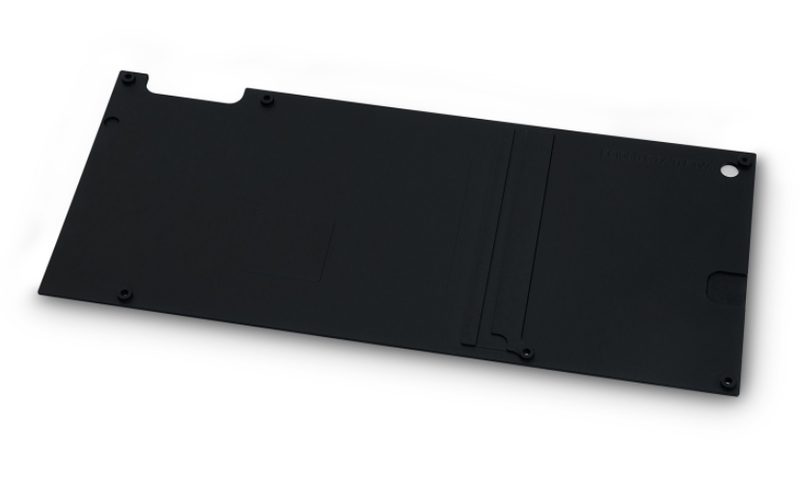 EK-FC1080 GTX Ti FTW3 Backplate – Black is a retention backplate made of black anodized aluminum for EK-FC1080 GTX Ti FTW3 series water blocks. 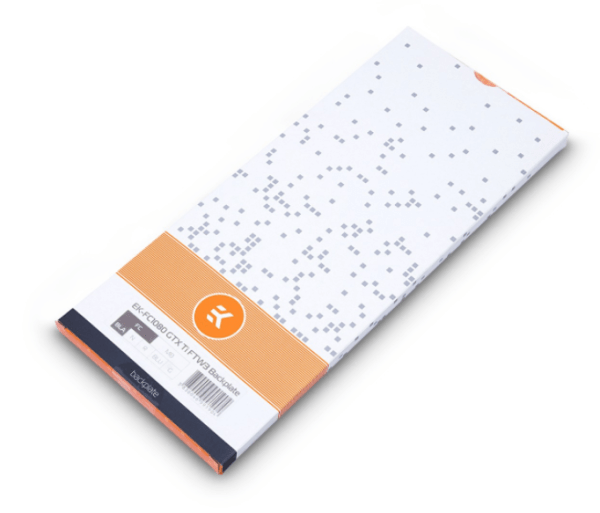 Backplate covers the whole length of graphics cards PCB, serves as an aesthetic add-on and also provides passive cooling for the backside of voltage regulation module (VRM). 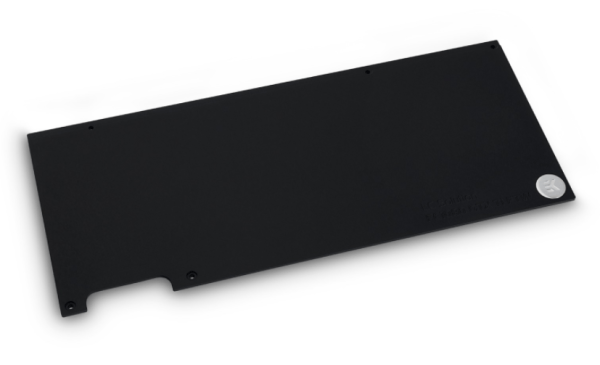 This backplate is guaranteed to be compatible only with EVGA® GeForce® GTX 1080 Ti FTW3 based graphics cards. The backplate does not serve as a standalone unit and is compatible with EK-FC1080 GTX Ti FTW3 water blocks!